Attention all buyers! Great Investment opportunity! This is a great opportunity to get a great investment property, your first home, or downsizing. This package includes our Bella custom designed TOPAZ 180.23m2 that offers 3 bed, 2 bath, 1 living,1 Study, 1 car and we have packaged it up with LOT 384 Shilin Street, Yarrabilba. This package includes our PRESTIGE Inclusions. Features include : 1200mm Front Entry Door,20mm Stone bench top to kitchen, Walk in pantry,Fly screens , Built in Robes, Driveway,and many more inclusions!! 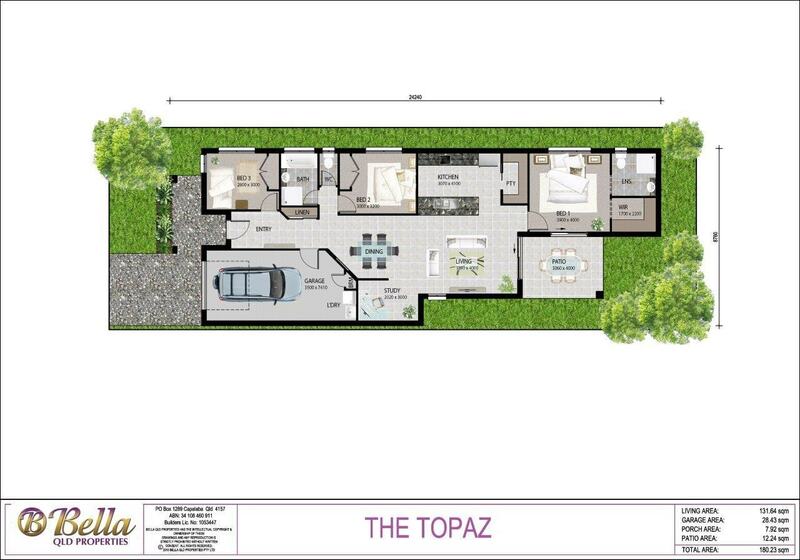 This is a great house and land package for the astute investor and first home buyer. High growth area, walking distance to school.